From beginners to experts, we are providing Wayne with the most well-rounded Martial Arts training around. Whether you’re hoping to take your skills to the next level or you’re just looking to get in shape and stay active, we have a class for you. 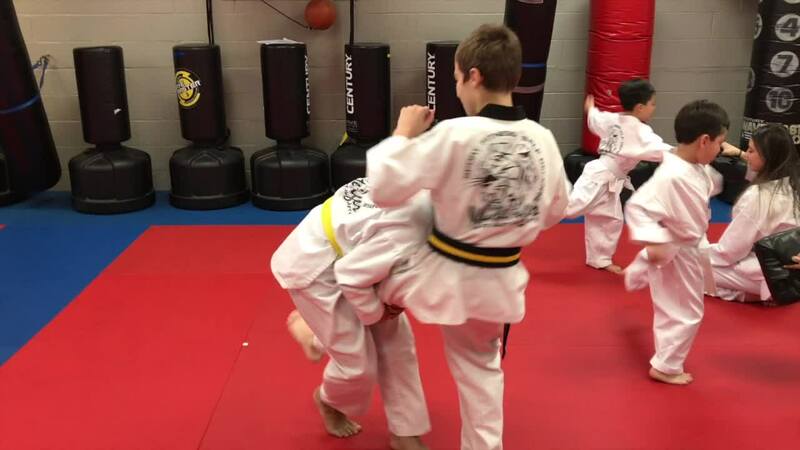 We specialize in providing comprehensive Kids Martial Arts classes for children, practical Adult Classes for teens and grown-ups, and a high-energy fitness program that is second to none. Enjoy the physical, emotional, and social benefits of Martial Arts training today at White Tiger Martial Arts. To get started, all you have to do is fill out the short form on your screen and we’ll be in touch soon to answer any questions you may have! We built a staff of caring, trained professionals who work hard each and every day to make your experience here as flawless as possible. Rest easy knowing you’re under the watchful eyes of our instructors while you train. We value your satisfaction above all else and we are here to provide you with the highest quality Martial Arts training possible, while also ensuring that each day at our gym is as remarkable for you as the first. We are dedicated to the Martial Arts and the values they provide. We believe strongly in the benefits of Kids Martial Arts on a young child and the sustained growth you can enjoy with our adult programming. We promise to meet and exceed your expectations every time you walk in our door. We are proud to provide Wayne with top-notch Martial Arts instruction and we see it as our duty to do so for many years to come. The beauty of Martial Arts training is that it pushes your mind and your body to learn as one. With each step you take in your journey to a black belt, you’ll enjoy boosted self-confidence and a sense of accomplishment that simply cannot be matched. A cornerstone of our Kids Martial Arts training is providing a foundation of life skills for the students we teach. None are more important than discipline and self control, two staples of the martial arts that your child will learn and practice daily at White Tiger. From anti-bullying as a child to real world self-defense as an adult, we know no threat is too small to overlook. While we preach violence as a last resort in confrontation, we know you need to be protected and you will be with a vital set of self-defense tools learned through the martial arts. Community is essential to the successful practice of Martial Arts disciplines and we are so lucky to be a part of the community in Wayne. As a member with us, you’ll be taken in by the family of students we teach into a supportive environment where you can thrive on a daily basis.